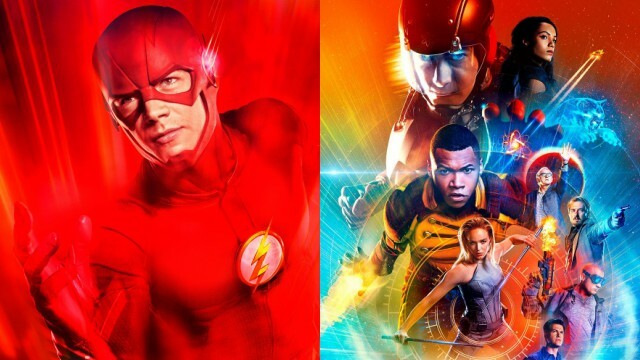 The CW has released promos for next week’s episodes of The Flash and DC’s Legends of Tomorrow, both of which you can check out in the players below! The Flash stars Grant Gustin as Barry Allen/The Flash, Candice Patton as Iris West, Danielle Panabaker as Caitlin Snow, Carlos Valdes as Cisco Ramo, Tom Cavanagh as Dr. Harrison Wells and Jesse L. Martin as Detective Joe West. Season 2 of the series also introduced Keiynan Lonsdale as Wally West and the Earth-2 version of The Flash as played by John Wesley Shipp (who also played Barry’s father, Henry Allen).